I got an email from the owner of the Perfect Duplex. I guess she’d never had her wallet stolen in a hostel. Travelers are like any other group of people in most ways. But hey, if being a traveler got me the duplex, I wasn’t going to argue! I should have wondered—if the caliber of potential renters in the neighborhood was low—that it signaled something. I should have paid more attention to where exactly it was, on the crime-ridden East Side. But I just wasn’t thinking. I asked my sister to go look at it. She sent me a video and gave me a thumbs up. My son sent the landlord a check for the deposit. DONE. Something easy, for once! I wish I had taken before and after photos of the attic. But I didn’t, so I’ll try to paint a picture for you. You’ve got a general idea of the scale of Dunrovin House. The attic is completely finished but to accommodate 15 chimneys, there are lots of angles. You can see the chimneys and rooflines through the skylights set in each room. The attic stairs lead up to a very wide hall and off of it are a full bathroom and one small and one large room, both being used as bedrooms. 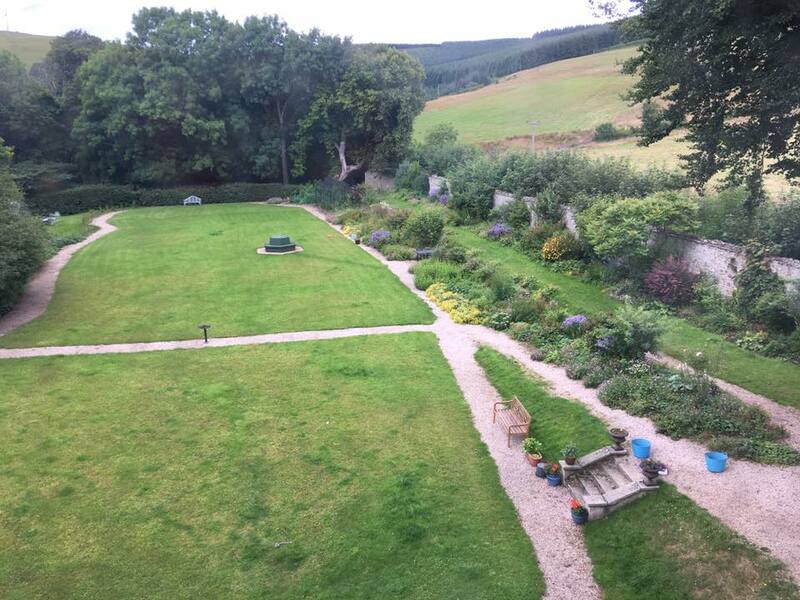 This is the view from the large bedroom. Lynn and Richard have talked of turning the attic into an apartment but then ask themselves, why? Why would they want someone walking through their space, then stomping around over their heads? But they will sell Dunrovin eventually, and Richard in particular wants to get the attic cleaned up. Because, like attics anywhere, theirs has filled up with stuff. Richard’s face lighted up when I agreed to clean out and paint the attic. At first I thought he was joking. Did I mention the attic has oak wainscoting? And wood doors, and window frames? “Maybe you could just oil the woodwork with boiled linseed oil,” he bargained. “Just?” I rejoindered, as we carried a 5-gallon pail of paint and all the cleaning and painting equipment up four flights of stairs from the basement. There were many interesting items. Dozens of silk scarves and pillow cases from Thailand and Indonesia. Every size and style of travel equipment, including leather valises that weighed 20 pounds and a canvas bag big enough to smuggle a Labrador. Hundreds of full-color flyers for a wind turbine campaign; I can’t remember if they were pro or con. Hats in fancy hat boxes. 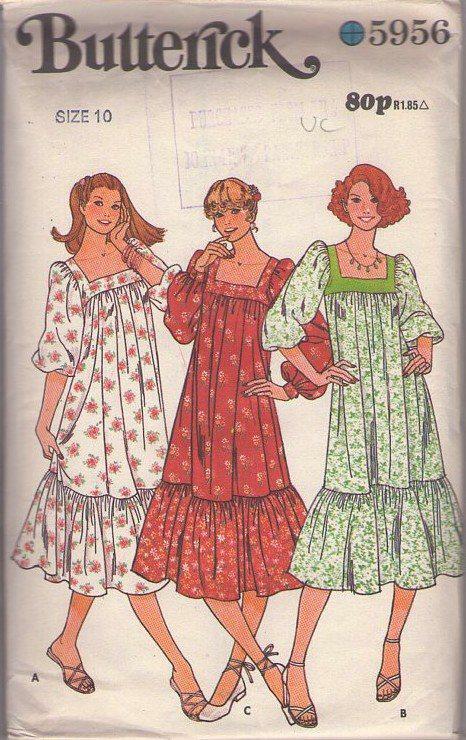 1970s sewing patterns. I get it. It doesn’t matter if you’ll never use something again. It doesn’t matter if you could sell it on Ebay and make a few bucks. If it’s sentimental, it’s meaningful to you. I’ve pared back quite a bit throughout all my moves, but I’ve still hung on to small, useless things like a cigar cutter left behind by an old boyfriend and a pair of candle sticks that an old man at synagogue named Archie Vinitsky gave me in 1982 that I never use, but I’ll never part with. Then there’s the giant porcupine quill I picked up on safari 10 years ago, which is actually really useful for cleaning crevices. This entry was posted in Adventure, Budget travel, Culture shock, Living abroad, Travel and tagged Aberdeenshire, Decluttering, Scotland on March 3, 2018 by Breaking Free.